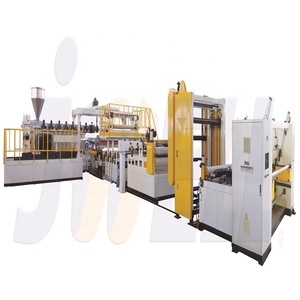 1 YRS Foshan Gaojingrui Plastic Machinery Co., Ltd.
CPP CPE Die casting film Production line Machine stationery film single direction stretch film sanitary articles film embossing film fresh-keeping film stretch film Product width can be customized. 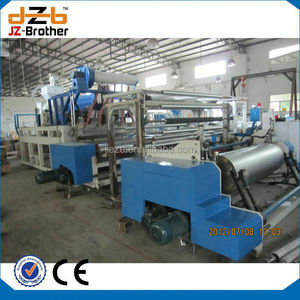 7 YRS WenZhou Jieze Packaging Machinery Co., Ltd. This kind of fabric has good waterproof and barrier properties, and is widely used in construction and decoration, road and bridge construction, civil engineering and other fields. 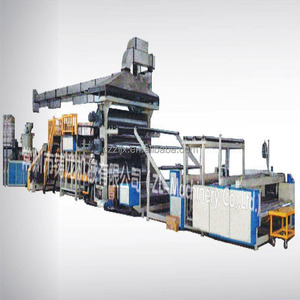 The machine has high degree of automation and convenience, and high output. (ZLMC) is located on Lvshu East Road, Xuejia Town Industrial Zone, Xinbei District, Changzhou, the dragon city which is known as modern equipment manufacturing base on the bank of Taihu Lake. 3 YRS Guangdong Xinhuida Machinery Technology Co., Ltd.
2 YRS Shanghai Liantai Plastic Machinery Manufacturing Co., Ltd.
PVB laminated glass is widely used in construction, automobile and PV Industries because of its safety, heat preservation, noise control and isolation of ultraviolet rays. The PVB intermediate membrane produced by special formulation is also widely used in aerospace, military and High-tech industries, such as aircraft, aerospace products, military instruments, solar cells and solar receivers. The PVB intermediate membrane is a translucent thin film, and is a kind of polymer material which is molded by plasticizing by plasticizer of polyvinyl acetal resin. 10 YRS Changzhou Dali Plastics Machinery Co., Ltd.
3 YRS Zhongshan Sotech Printing Machinery Co., Ltd.
7 YRS Quanzhou Nuoda Machinery Co., Ltd.
10 YRS Xinle Huabao Plastic Machinery Co., Ltd.
9 YRS Laiwu Fengliyuan Plastic Machinery Co., Ltd.
11 YRS Shanghai Jobbetter Plastic Machinery Co., Ltd.
11 YRS Ruian Huarui Plastic Machinery Co., Ltd.
5 YRS Wenzhou Shuanglong Machinery Co., Ltd.
6 YRS Taizhou Huangyan Jingwei Mould Co., Ltd.
3.Q:How does your factory do regarding quality control9 A:"Quality is priority. we always attach great importance to quality controlling from the very beginning to the very end. And we warmly welcome friends from all over the world to visit our factories for business. 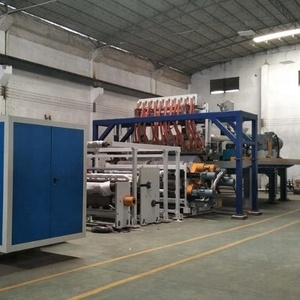 5 YRS Nanjing Zhitian Mechanical And Electrical Co., Ltd.
,Ltd,is professional manufacturer of complete plastic rope making machinery line for over 15 years. 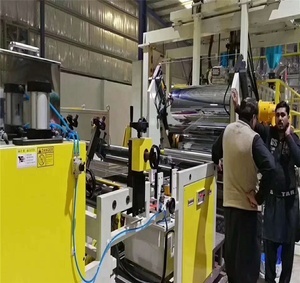 The product mainly includes extruder,ring twister, twisted rope making machine,rope braiding machine,rope packing machines etc. Now we are one of the most professional companies in China. 8 YRS Ruian Huana Machinery Co., Ltd.
Alibaba.com offers 26,513 cpp film machine products. About 21% of these are other packaging machines, 2% are plastic extruders, and 2% are filling machines. 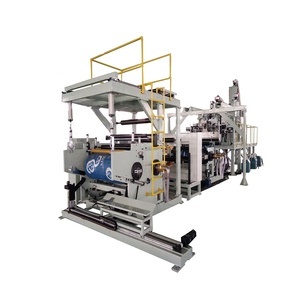 A wide variety of cpp film machine options are available to you, such as film, sheet, and plates. You can also choose from pe, pp, and pvc. As well as from single-screw, double-screw. And whether cpp film machine is free samples, or paid samples. 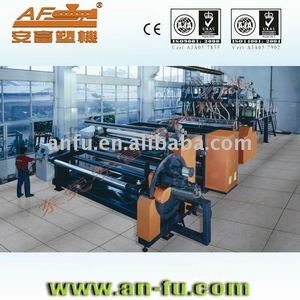 There are 26,513 cpp film machine suppliers, mainly located in Asia. 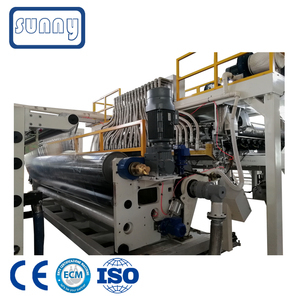 The top supplying country is China (Mainland), which supply 100% of cpp film machine respectively. 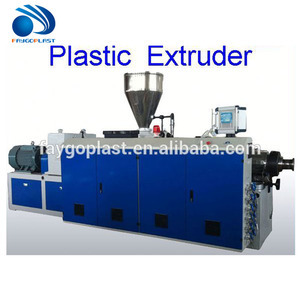 Cpp film machine products are most popular in Domestic Market, Mid East, and Africa. You can ensure product safety by selecting from certified suppliers, including 2,311 with ISO9001, 2,201 with Other, and 77 with BRC certification.